Quebeckers take less pictures (with traditional cameras and camera phones). Readers of my most recent post Is there a market in the hole? have asked if Quebeckers were therefore less likely to use cell phones with integrated cameras. We don’t have data on ownership or usage but it’s definitely a feature Quebeckers attach less importance to. Having a camera integrated in the phone is not as important a feature for Quebeckers (13%) as it is for Canadians in general (20%). There's a hole in the market but likely no market in the hole. It’s often said that to effectively sell an innovation, marketers should focus the sale on the quarter inch hole, not the quarter inch drill. Because consumers care less about the innovation itself than about the way it will benefit their lives. Sometimes though, consumers aren’t interested in either the drill or the hole. I suspect this will be the case for what is undoubtedly an amazing technological achievement from a company that is struggling to become relevant again. Since Polaroid built its business on letting folks take and print a picture that could be shared instantly, it seems like a natural evolution into the digital age. But I doubt it will fly. Why would anyone today print a picture on the spot to share it? Aren’t most digital pics taken with cell phones sent via the web and posted on social networks like MySpace and Facebok for the “community” to see? 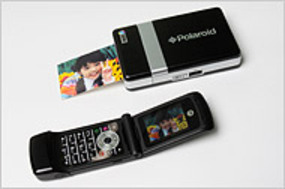 Perhaps Polaroid is hoping to capitalize on the previously successful strategy of encouraging people to use instant photography to capture evidence or information. Remember the “See what develops” campaign that had people take a picture of a broken gizmo so it could be shown to the repairperson? A valid approach but it’s an angle others are already exploiting with wireless technology. Fido Video Calling promoted the feature recently with a TV spot showing a guy using his cell phone in a drug store to show the feminine hygiene section to his partner at home in real time so he could buy her the right kind. I’d put it this way: there’s a hole in the market but I doubt there’s a market in the hole. - Significantly more Quebeckers (22%) say they do not take pictures. - They are therefore less likely than Canadians in the ROC to use photo-sharing tools such as online photo sharing websites, networking sites such as Facebook, and emailing photos. - This is also true of “old fashioned” photo sharing. Significantly less Quebeckers say they give friends and family printed photos (56% compared to 69% in Ontario, 71% in BC and the Maritimes, 76% in the Prairies and 74% in Alberta. Asked how many printed photos they have, Quebeckers said 336.0 (mean) compared to 510.1 for Ontarians. - Despite the proliferation of new photographic devices, Quebeckers claim they have not increased the amount of pictures they take while Canadians in the rest of Canada claim to be taking more pictures the past 5 years. It gets ratings for TV networks and it sells newspapers (or it simply provide provocative content for the free dailies). I’m talking about the type of hidden camera investigation you see on Dateline NBC. Then a month later, Le Journal de Montreal attempted to repeat the stunt but this time couldn’t distort the findings for effect. Instead of a reporter, they hired Thierry Daraize, a chef who has worked at such fine establishments as the Ritz-Carlton and le Club St-Denis, to work at three fast food restaurants “incognito”: KFC, Burger King and McDonalds. Speed wins over quality. Grease is involved in the process. Things are pre-cut to save time. Some of the food is pre-cooked and kept warm. Drinks are a mix of syrup and carbonated water. Quel scandal! It was a silly stunt and Quebeckers learned nothing from it. They’re already well aware that they shouldn’t overindulge in fast food. The findings from Stats Can’s Canadian Community Health Survey on Nutrition released in 2006 showed that Quebeckers adopt a more moderate approach to fast food. Quebecers eat less fast food than other Canadians, 18 per cent compared to 25 per cent. Ontarians were above average with 29 per cent of adults reporting they had eaten at a fast-food outlet in the previous 24 hours. Quebec residents get a smaller proportion of their calories from snacks than other regions - 20 per cent for adults, compared to 26 in the Atlantic provinces. Twenty-three per cent is the national average. Dion and Harper : Mac vs. PC? An aspiring country singer once asked living legend Dolly Parton for advice. Her answer: “stay true to yourself and don’t let anyone tell you to change”. Liberal leader Stephane Dion could learn from Ms. Parton. Whatever happened to Stephane Dion’s knapsack? While the embattled Liberal leader is rarely seen without it, its symbolic value has all but disappeared. The glasses have changed, the English is improving (slowly) and the suits have gotten more statesmanlike. Stephane Dion, likely at the urging of his handlers and image consultants, is trying to look and sound more like a seasoned politician than the respected and thoughtful academic that caught the attention of an Aline Chrétien looking to shore up her husband’s team. Following his come-from-behind election as Liberal leader, Mr. Dion was quickly dismissed as “not a leader” by a barrage of negative ads and, by all evidence, the message stuck. His predecessor, Paul Martin, was labeled Mr. Dither for his indecision and that message also stuck. As it’s often said in marketing, if you don’t define your brand, your competitors will. So what should Stephane Dion’s brand be? And is it too late? The simple answer to the first question is “himself”. Being himself got him elected leader of a bruised Liberal Party desperate for a break with the past. His agenda to turn red into green connected with environmentally concerned Canadians long before the Conservatives made it their issue. And his awkward, professor-like delivery was a refreshing change from slick politicians. Rightly or wrongly, Stephen Harper is perceived as the cold, calculating, and power-hungry politician. No wonder women voters find it hard to like him. Dion should strive to contrast himself rather than emulate Harper’s image. 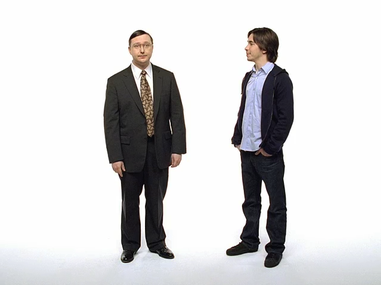 The Liberals should borrow from the highly successful Mac vs. PC advertising campaign. The knapsack is very Mac while Mr. Harper’s pin striped suits and frame make him very PC (excuse the pun). Rather than attempt to change to become the type controlling political leader the Conservatives want Canadians to think they need, Mr. Dion should follow Dolly’s advice and be himself. Is it too late? Irreparable damage might already have been done but Apple also had a near death experience and recovered quite nicely. Vegetarians in Quebec get a facelift and a drink. The Quebec-based vegetarian restaurant chain Le Commensal www.commensal.com unveiled a new look described as trendier and friendlier. Le Commensal believes its brand is “nutritious, ethical, organic and conscientious” and that “health starts with what people eat”. That principle has obviously been extended to what people drink as the chain is now introducing a wine bar (offering organic wines of course). ingredients are authentic and delicious.” CNW Release. 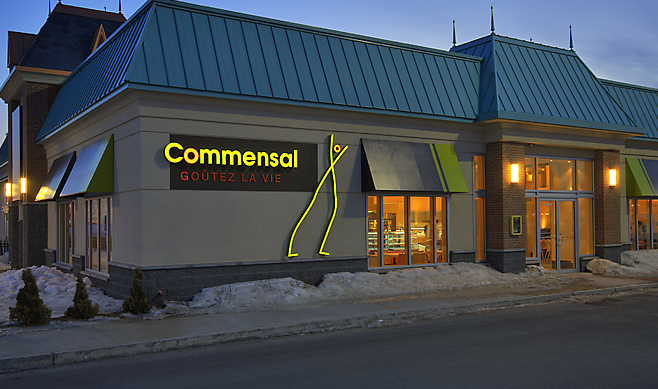 I’ve always loved Le Commensal and I’d patronize its Toronto location if it were next door to our offices. But I always feel the sting when the cashier weighs my plate. Why does healthy have to cost so much more? Quebeckers generally want healthier food options but find it difficult to do so. A 2005 survey by Ipsos Reid revealed that 59% of Quebeckers (significantly more than Canadians in the ROC) agreed with the statement “I know it’s important to make healthy food choices, but I find it hard to do so.” Perhaps what makes it hard is the price. In the same survey, 67% of Quebeckers disagreed with the statement “Healthier food options cost the same as regular ones” (significantly higher than in the ROC). Le Commensal also announced that “to personalize its new image on the advertising level” it had recruited Josée Lavigueur to “add credibility and visibility”. Ms Lavigueur is well known as a physical activity enthusiast in Quebec. There’s an interesting pattern here: why is it that advertisers anxious to promote healthy living and eating in Quebec all choose attractive blond women to do so? Le Commensal has Josée Lavigueur. Bon Matin bread has Marie-Josée Taillefer. And MangezQuebec.com has Annie Broccoli.